It is freezing in NY. When I last checked the thermometer, it read 21 degrees and the ground is covered with a light snow. It is beautiful but I am not happy walking and driving in it. To make it worse, I have a rental car, this week. I am not sure if I shared that a school bus hit my parked care a few weeks ago. It is in repair presently so I have to navigate the snow in a strange vehicle....not a happy camper. I will not take my class out to recess today, no matter how much they beg. Does that make me a mean teacher or a responsible one. I have one boy who comes with a light sweat shirt, no matter the weather. I am wondering what he will be wearing today. 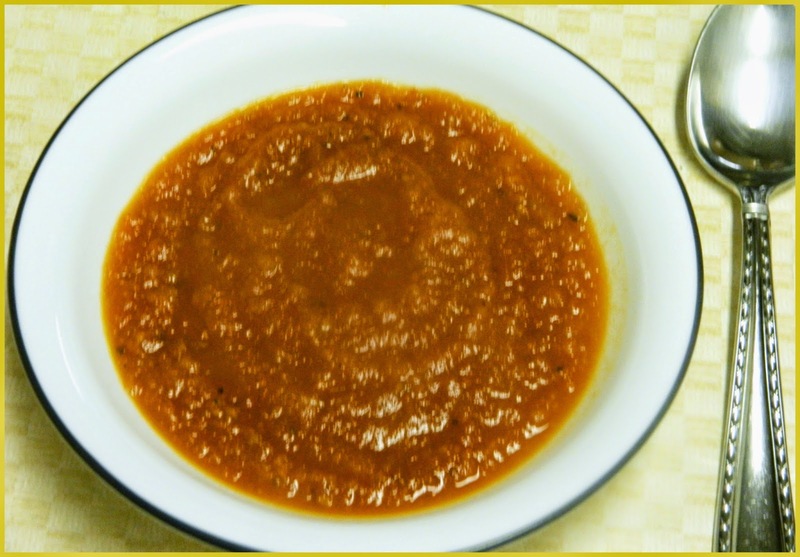 I was not feeling well when I made this soup so I did not take a photo but I checked my files for another soup and found this roasted tomato soup which looks very much like it without the cheese on top. Melt butter in a Dutch oven over medium heat. Add onion and cook, stirring occasionally, until softened, about 5 minutes. Add parsley, tomatoes and 1 cup water. Season with salt and pepper. Reduce heat, cover and simmer, stirring occasionally, until tomatoes are very soft, 15 to 20 minutes. Let cool. Pour into bowls and top with cheese. Simple, healthy and very tasty too, Chaya. It's amazing how some kids come to school. I think the parents don't know or forget about them once they are out the door. You are responsible !! A good comforting pot of soup is the perfect solution for this frigid weather. Sounds delicious.